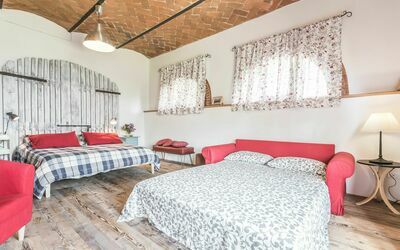 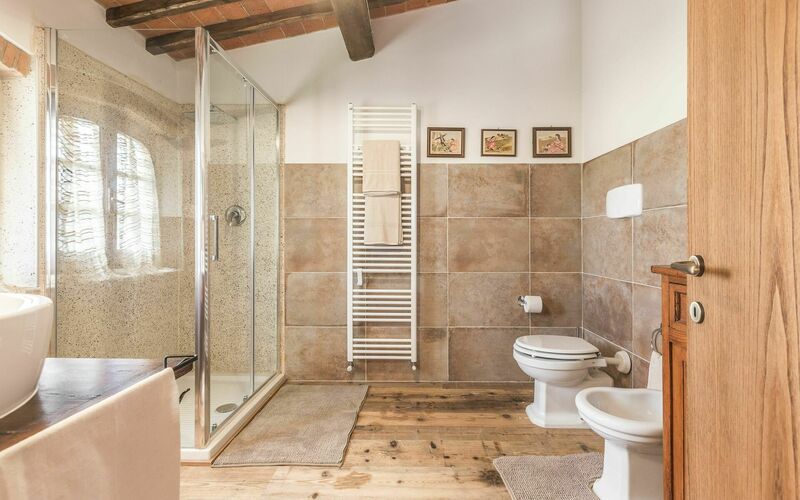 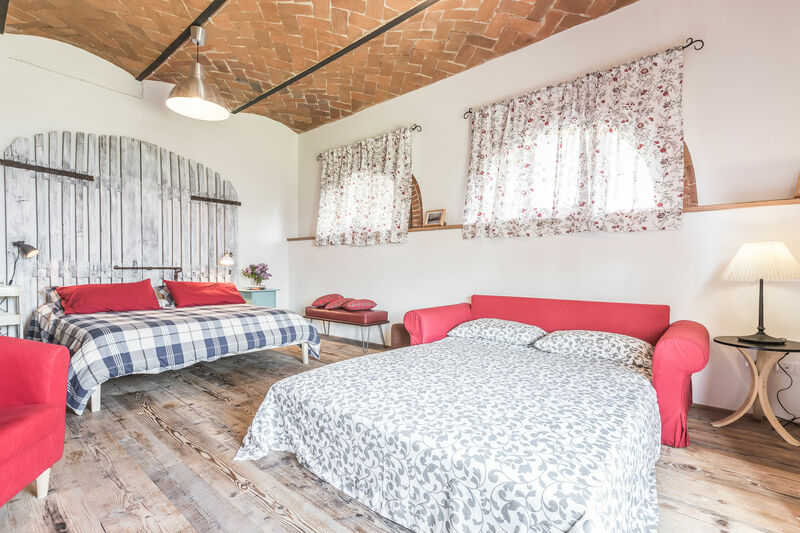 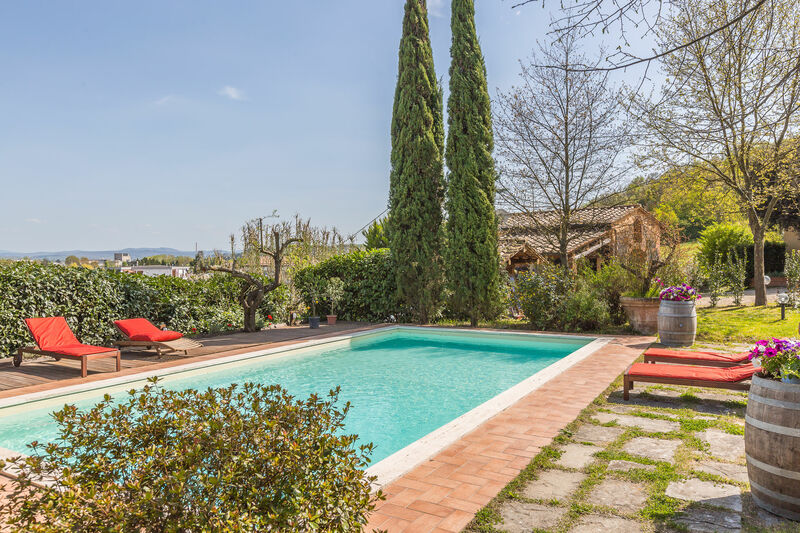 Charming barn conversion with private swimming pool located in Tuscany, a short distance from San Giovanni Valdarno. 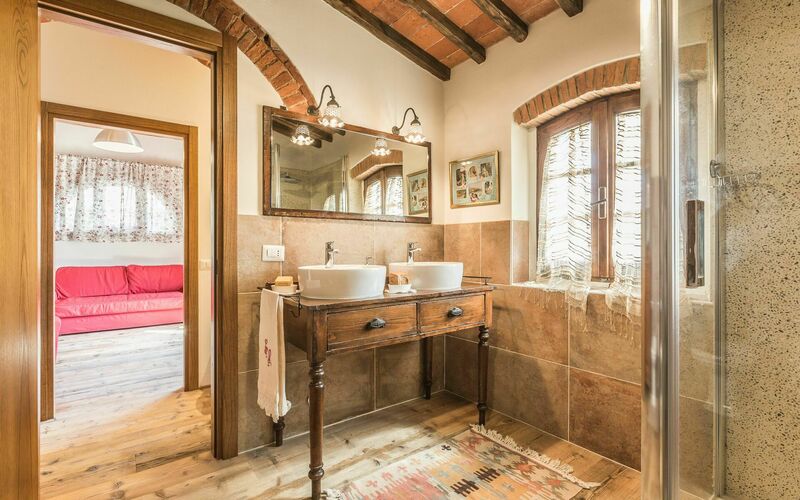 The property has been recently restructured and transformed into a comfortable country villa for rent. 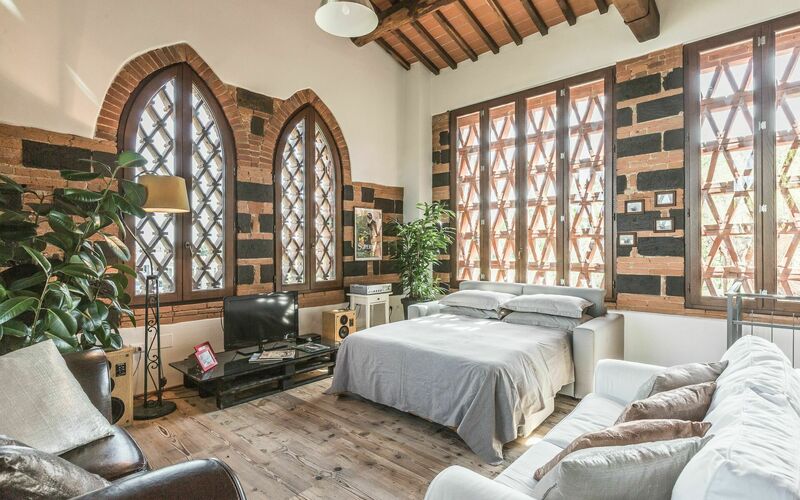 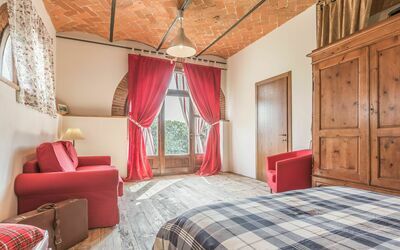 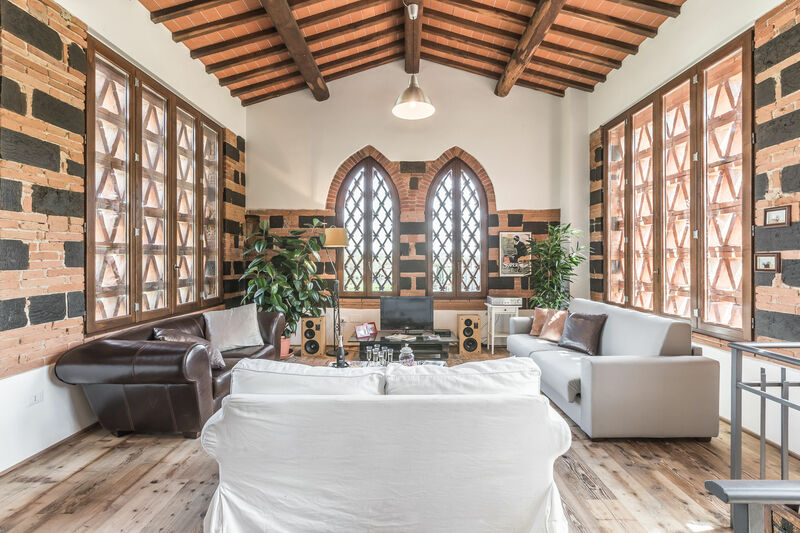 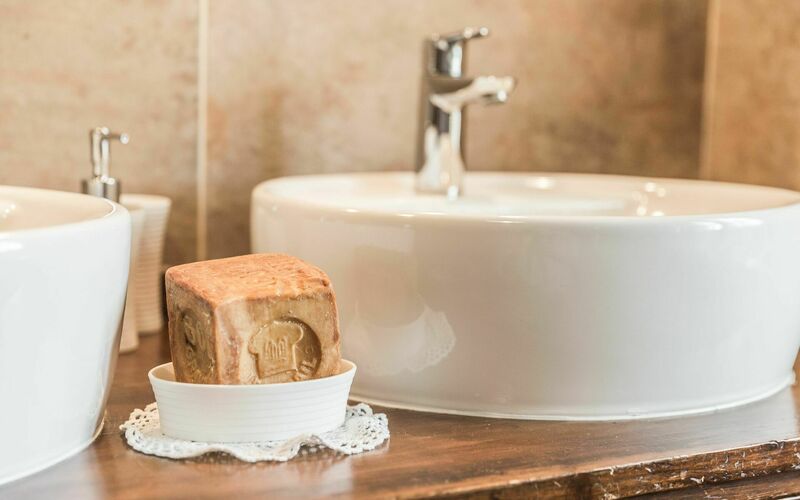 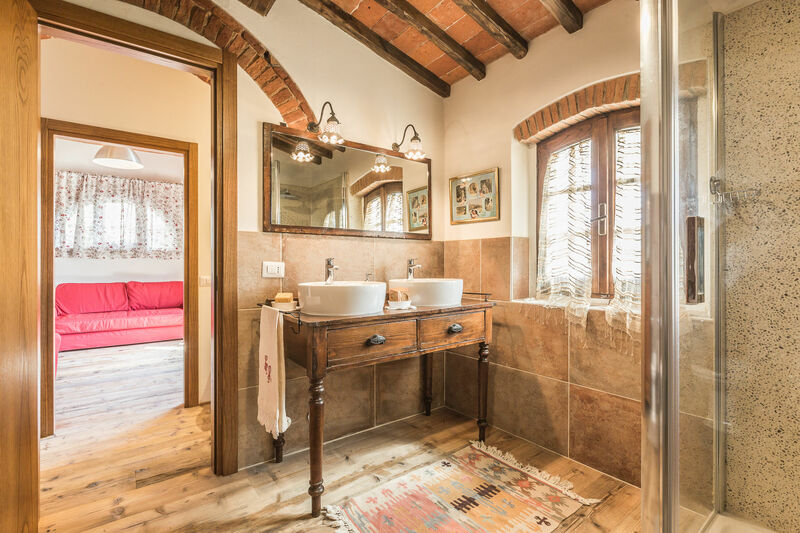 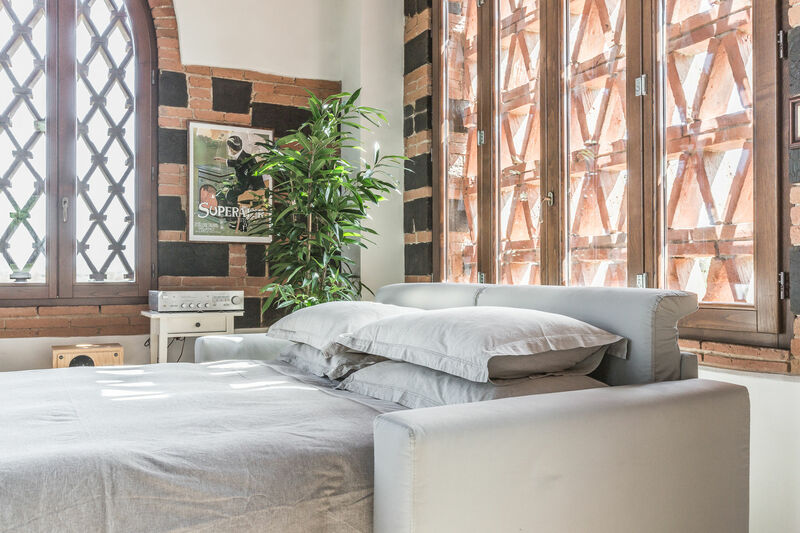 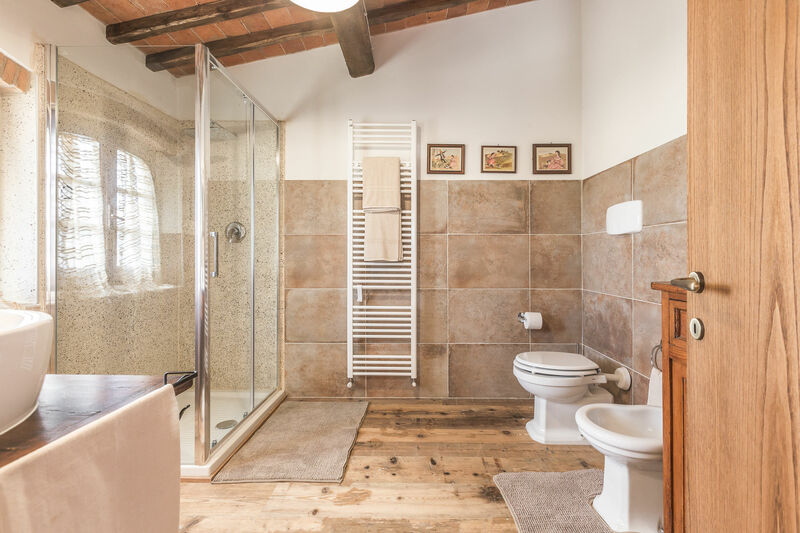 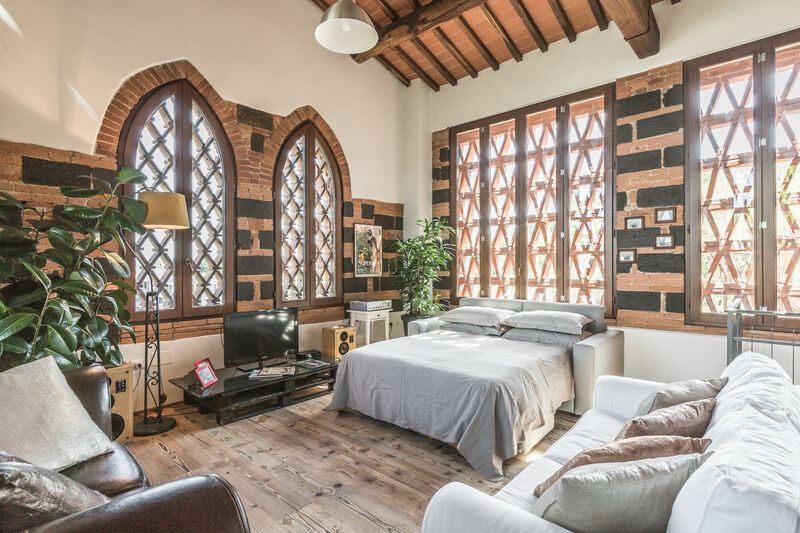 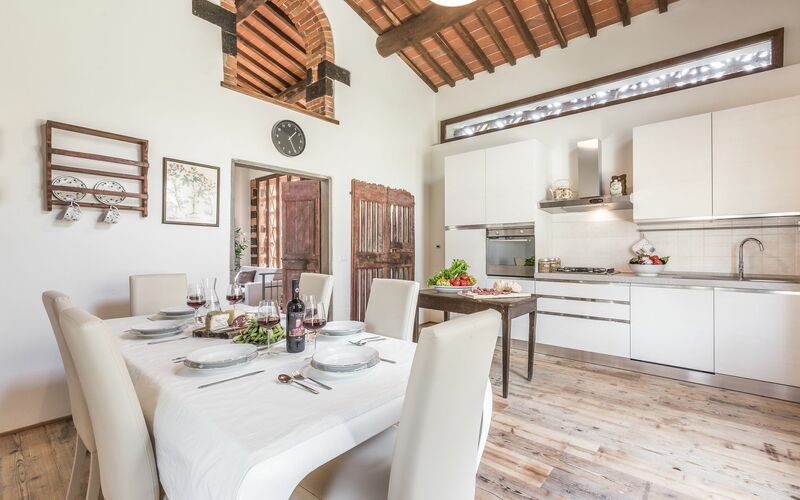 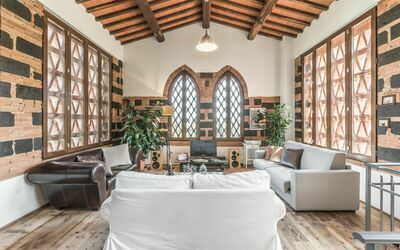 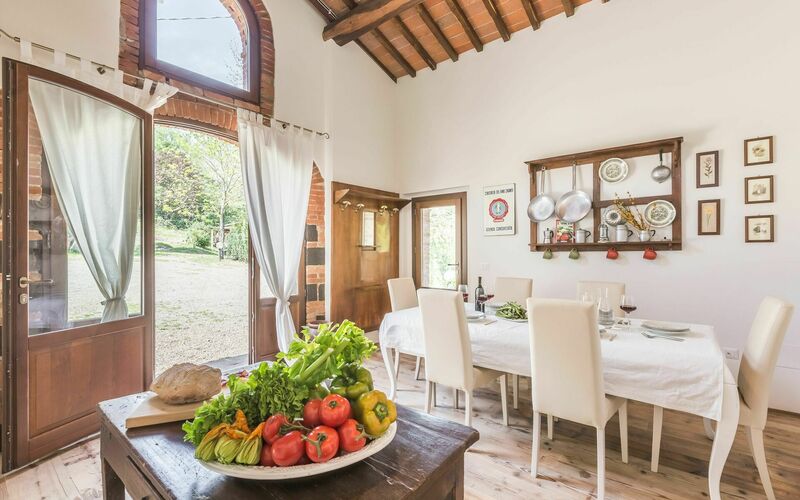 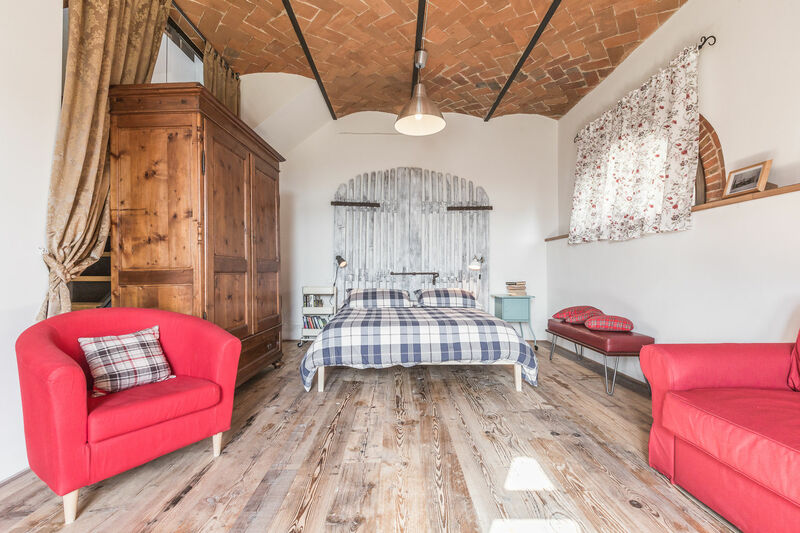 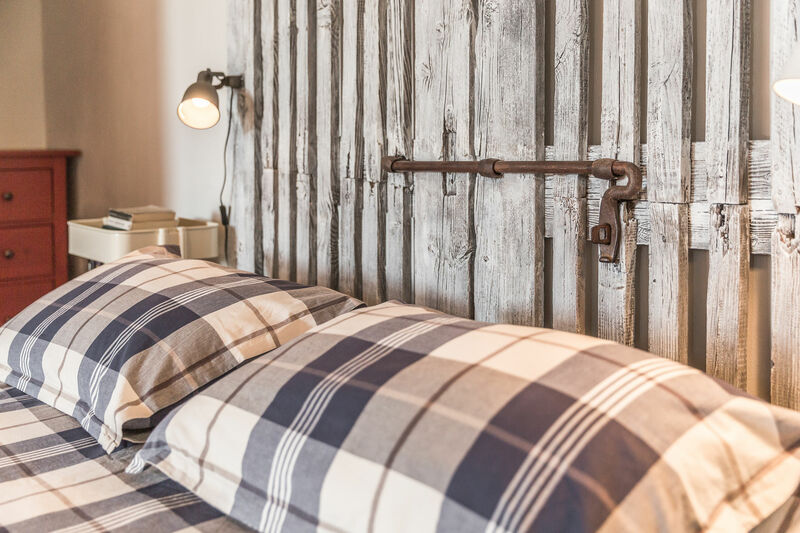 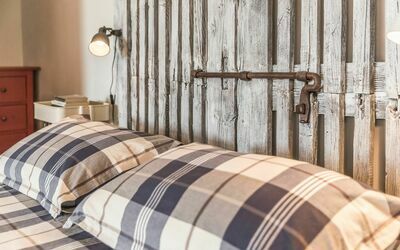 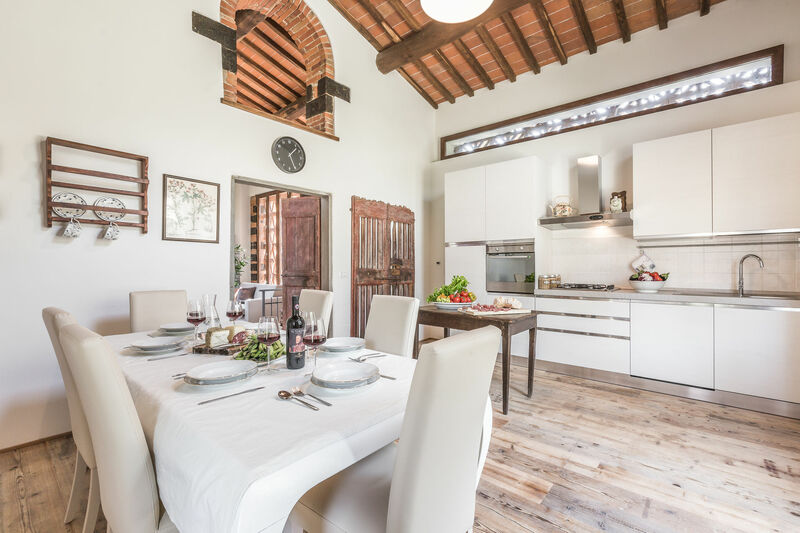 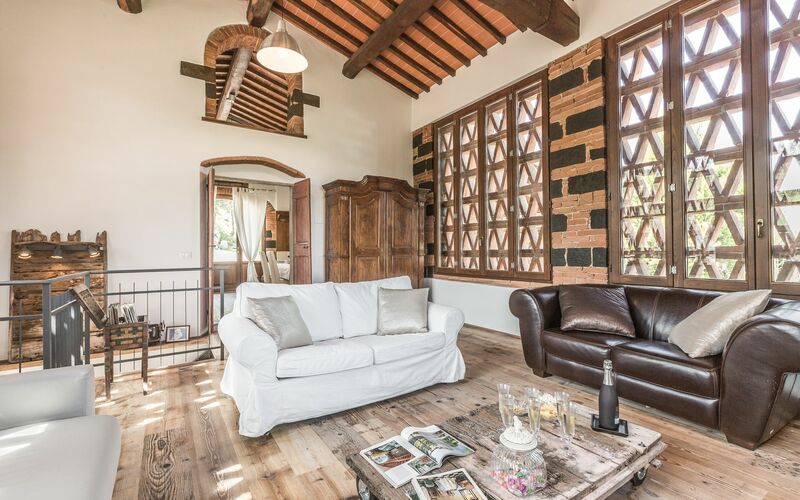 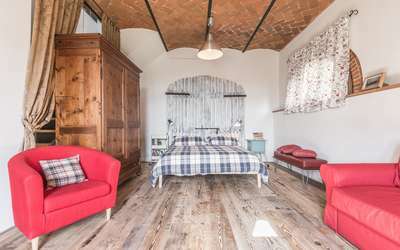 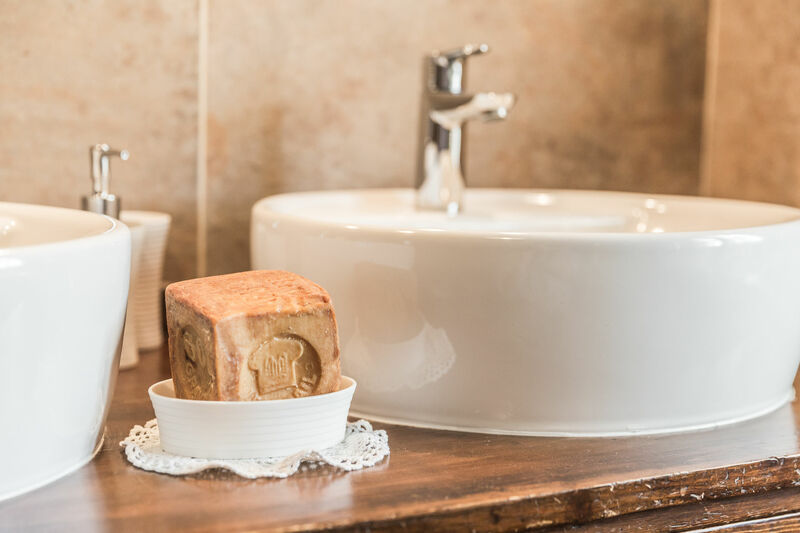 This villa rental offers an exclusive pool, a large garden and it is furnished in a Tuscan style with exposed beams and wooden floors along with a few creative touches inspired by materials found in the Tuscan countryside. 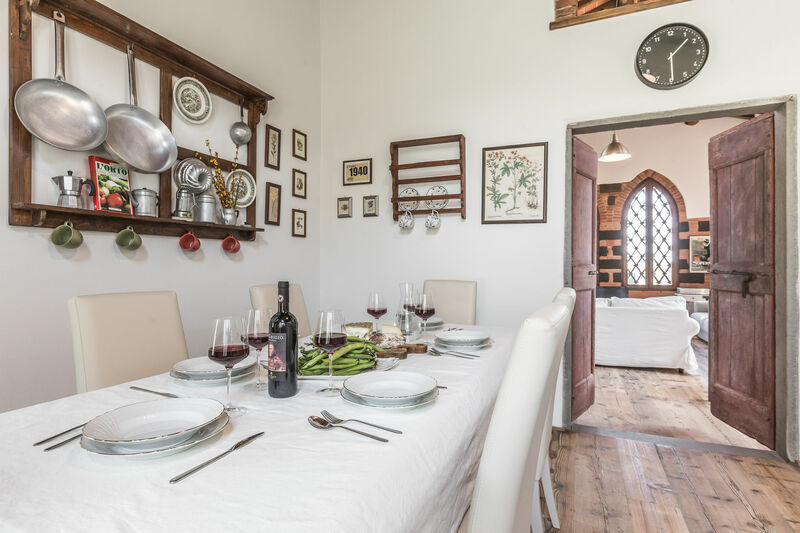 The owners live in the original farmhouse next to the rental and are availableon request to prepare traditional Tuscan lunches and dinners. 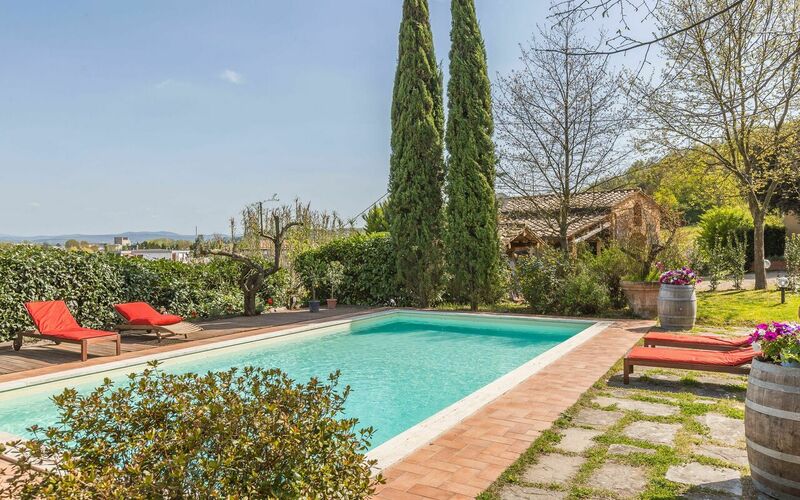 The swimming pool measures 10x5m – Minimum depth: 1.2m – Maximum depth: 1.8m. Distances: San Giovanni Valdarno - 1km, the Chianti Classico region (Gaiole) lies within a range of 10km, Florence - 37 km, Arezzo - 37km, Siena - 57km, San Gimignano - 90km, Cortona - 77km. By train: for anyone arriving by train, the nearest station is San Giovanni Valdarno, it lies just 1 km from the property. 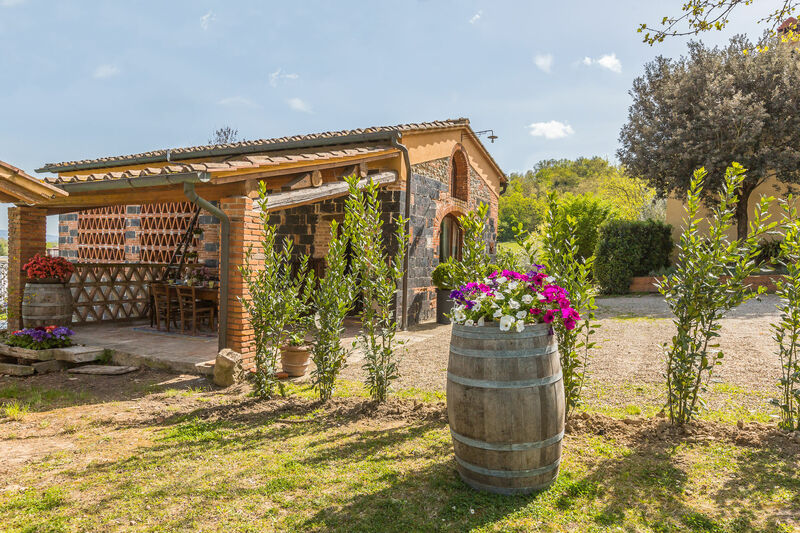 By car: take the A1 exit for Valdarno, the property is roughly 5minutes from here. Ground floor: dining area with kitchenette (fridge-freezer, dishwasher, espresso maker and kettle), large, bright living area with sofa bed (double size). 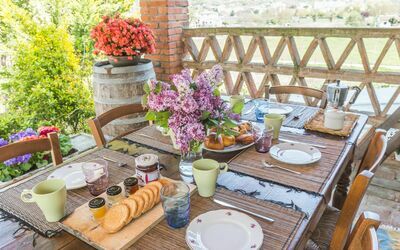 Access out onto furnished patio with table and chairs which look out onto the garden and the swimming pool.